What’s she up to? She’s supposed to be doing the housework. Something orangey by the looks of it. They’ve got tired of scrawny little satsumas and are having a ‘big orange’ renaissance. The boy was heard to ask for cake yesterday too. Ooh, cake. It looks quite good too. Smells orangey. Argh! She’s stabbing the cake! Now she’s spooning on hot orange scented golden syrup! Now what? More juice…and icing sugar? Some people just don’t know when to stop. 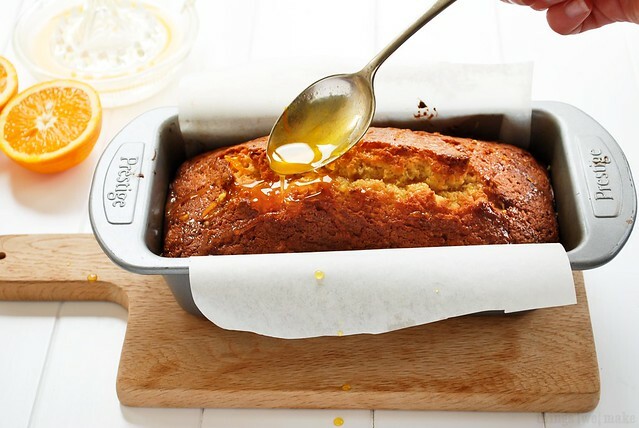 Orange Golden Syrup Drizzle Cake – The printable recipe. Heat the golden syrup in a pan with the other half of the orange juice and zest. 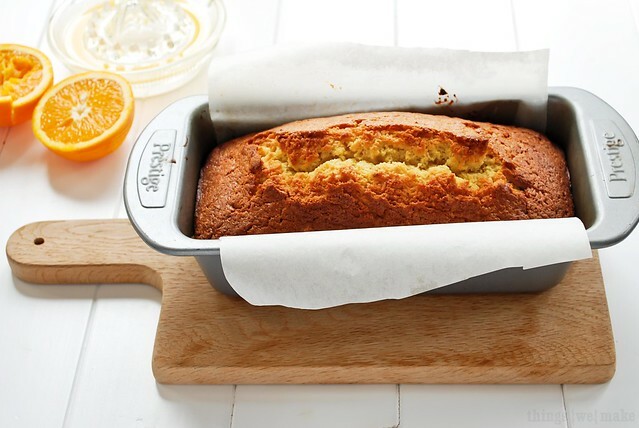 When it’s cool you can choose to add the 3rd orange flavour and mix the juice of another half an orange with 3-4oz of icing sugar and drizzle it all over the cake then sprinkle with more zest. Eat with a nice cup of tea. Triple Awesome Post. Well done. The cake looks fantastic. Brilliant post – hugely inspiring, as always! Sounds wonderful – will have to share : ) Thank you! Haha loved this post. Humorous AND a great recipe! Lovely awesome pictures. They make me want to guzzle orange juice. Made bread yesterday. Need to make cake today inspired by this one. Lovely. 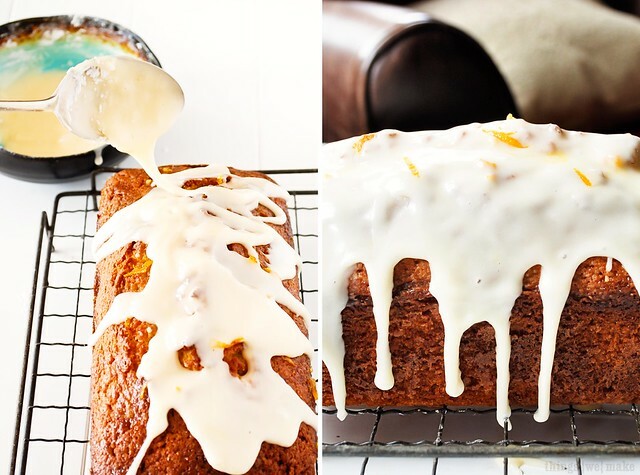 You can’t beat a loaf cake for simple deliciousness, and you’ve taken this to the next level with that delicious sticky syrup and orange-y drizzle. Gorgeous. Sounds fantastic, I love sticky cake! I think we’ll all benefit when you don’t know when to stop. That icing definitely took it to another level! That would major yum level. Thanks everyone. We managed to work our way through this in no time and it’s all gone already. The moistness from the syrup and the tangy icing make for a very easy eating cake! Looks great. Creative post too! Another scrummy recipe thanks very much. Always wait for your posts and the wait is always very fruitful – this time it turned out to be orangey! When you heat the Orange juice won’t it turn bad? Have emailed you about something as well – do reply whenever you have some time… look forward to the next! Hi Ishita. Thank you 🙂 the orange juice is fine when you heat it with the syrup, I am sure any other syrup would work too, like maple for example. In fact this time I forgot I’d left it on the heat so it cooked for quite a while and reduced down to a thick golden orange syrup. It was delicious but didn’t permeate the cake as much as I wanted it too. It was still lovely. I have not seen a mail from you yet. Love your post! Very creative, so fun to read and I can’t wait to make it. 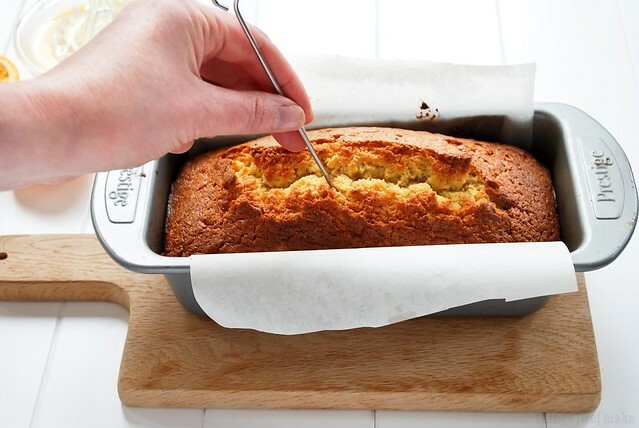 I just posted a Lemon Drizzly Cake recipe which is very similar to yours. 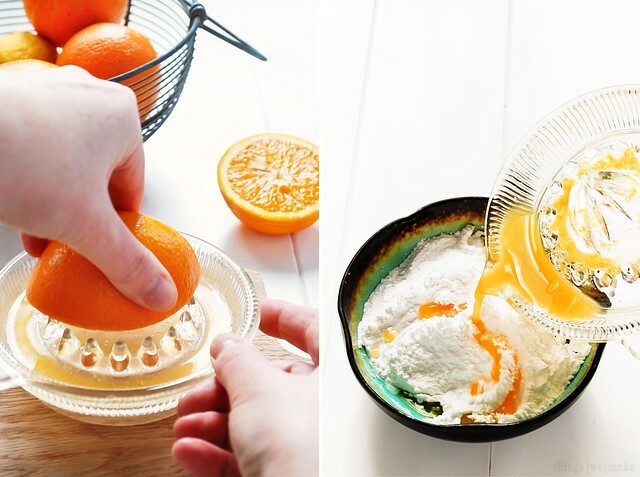 Bring on citrus and spring! This was a hit! I used a bit of Fior di Sicilia along with the vanilla, used sucanat for the sugar and I left off the icing portion as the cake is fabulous on it’s own. What is caster sugar? Looks delish, by the way. I think in the U.S. It’s called Superfine. Okie doke. I believe I can find that! Louisiana grows a lot of sugar cane.